A U.S. industrial designer who was born in Minneapolis, Minnesota and attended art classes at the Minneapolis Institute of Art, Don studied marketing and engineering at the University of Toledo (1934-1936) and design at the Toledo Museum School of Design (1936-1937). He began his career in 1937 as design director for Harold Van Doren and Associates of Toledo, and opened and managed a second office in Philadelphia for Van Doren in 1940. He established his own firm in Philadelphia in 1946. In 1950 he became product manager at Servel, Inc. and in 1952, was named its Vice President in charge of Product Planning. Don is credited with inventing the term of "product planning" and its role for designers in corporations. In 1953 Servel, Inc., the sole manufacturer of gas absorption refrigerators since 1927, introduced the Wonderbar, a compact portable refrigerator designed by Don. The Wonderbar, made almost completely of Bakelite plastic, was designed to get refrigerators into other rooms other than the kitchen. Servel also introduced the first automatic icemaker in its full-sized refrigerator, also styled by Dailey and his staff. Don left Servel in 1955 to re-establish Don Dailey Associates Inc. in Evansville, Indiana, which he operated until 1995. In 1959 Faultless Caster Company introduced a twin-wheel caster for tea carts which eliminated the unsightly "yoke-horn" for the axle by hiding it between the two wheels. It was designed by Dailey, and after patents expired, was extensively copied and revolutionized the furniture industry. In 1972 the unique "Coppertop" introduced on Mallory Duracell long-life batteries was designed by Donald Dailey to create a more visible quality image. Dailey was inspired by a trace of rust in his shower water, and was reminded that copper means quality electrical conductivity. 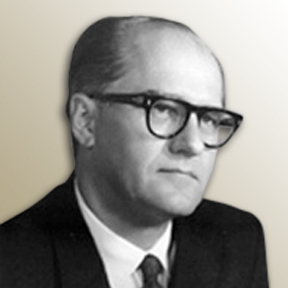 Dailey also designed the Mallory predecessor "Goldtop" introduced in 1964. Don was an early member of SID in 1946 and was the last president of ASID in 1964 before it became part of IDSA in 1965.